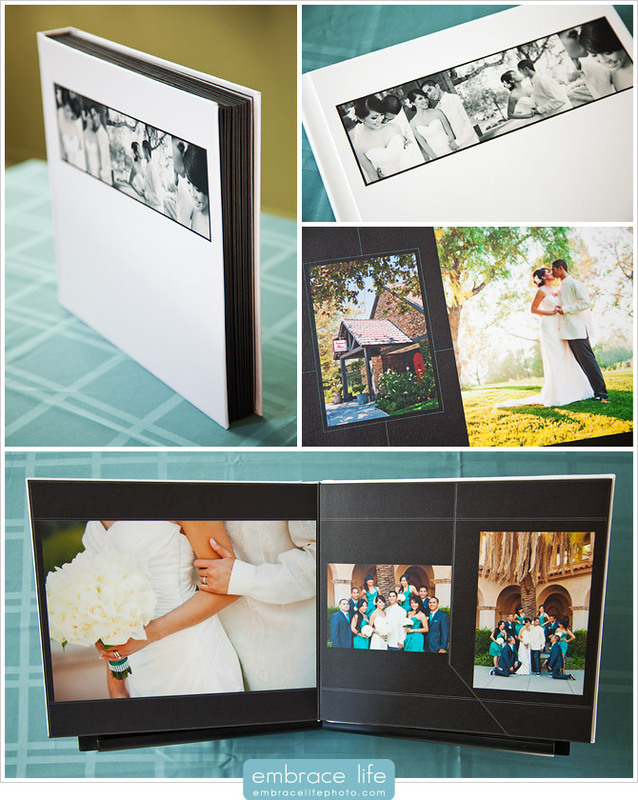 We have so many amazing wedding albums that have been coming in for our couples that we can’t wait to share. Here is a beautiful Modern wedding album from Audrey and Gregory’s Orange County wedding. Both venues, St. Denis Church in Diamond Bar and Summit House in Fullerton were the perfect backdrops for their wedding. I love how the church is featured on the unique stair-step page. Plus, the simplicity of the black and white cover compliments the rest of the album wonderfully. 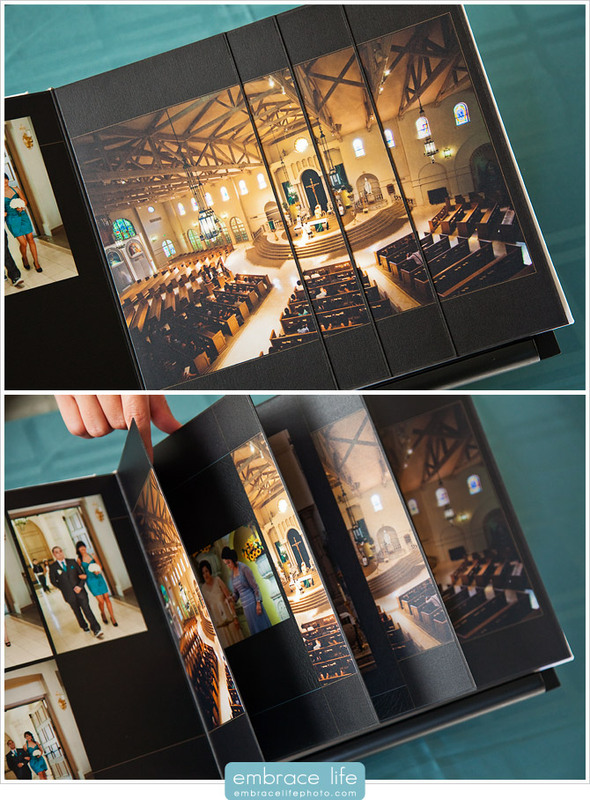 Enjoy this little peek of Audrey and Gregory’s Hand Crafted Modern Album! That is so cool! Great wedding album!